At The Call Centre we make it our mission to provide the highest quality call centre services for a range of business needs. 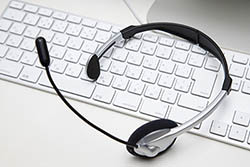 Whether you are looking into an inbound call centre, or a reliable telephone answering service. or a full 'value-add' service, the expert team at The Call Centre is here to help you. When looking for a call centre, potential clients often focus on getting the cheapest price possible. What these organisations often miss is the impact a positive or negative experience can have on the bottom line. Hiring a call centre with a focus on customer service can be the difference between a positive client experience and losing a vital contract. Don’t make the mistake of cutting corners when it comes to your most important assets (your customers), get in touch with us today to see the value that true experience can bring. Determine the relative priority of a call. To expertly initiate 'incident-management' protocols that ensure our clients and their customers are delivering and receiving the services which have been contracted to be supplied after hours. If necessary in the interest of good customer service, going beyond these procedures to satisfy a customer's needs. In a nutshell we can be relied upon not to drop the ball. We believe when appointing a call centre you should be purchasing 'peace of mind'. Peace of mind that your call centre can be relied upon to enhance your service reputation when taking your calls. When considering what call centre to choose – remember they are not all created equal.